I am a British citizen, mother tongue English. At College in the UK I taught English to world students, up to University Level. OFSTED judged it "Outstanding". I now teach students face-to-face and on Skype. HUNDREDS upon HUNDREDS of Mathematical Terms: Numbers, Symbols - EVERYTHING. Cardinals; Ordinals; Fractions; Decimals; Percentages; Temperatures; Angles; Powers; Roots; Dates; Money; Sport; Once, twice, thrice; Ace, couple, dozen, score, century; Single, double, triple; Length, breadth, height; Plus, Minus, Multiply, Divide, Equals; and MUCH MORE. Punctuation. 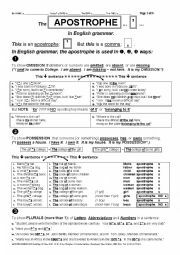 EASY-TO-UNDERSTAND Worksheet of the APOSTROPHE. Simple but in detail. 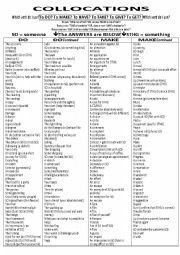 CONTRACTIONS; POSSESSIONS; PLURALS of Alphabet Letters. NUMEROUS examples and easy exercises - Family, and Opposites - in SIX PAGES of black-and-white script. POSSESSION is FULLY EXPLAINED. Students LOVE it! 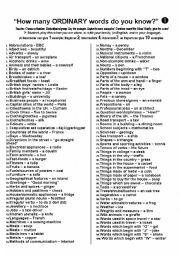 This comprehensive, 4-page, black-and-white Worksheet, (in British English), gives 50+ ESSENTIAL GREETINGS and QUESTIONS constantly used in daily life, together with EXPLANATIONS, (in words and images). The Students practise the SPEAKING and WRITING EXERCISES in pairs: Teacher has the KEY. A POPULAR GAME. A HUNDRED Questions with THOUSANDS of Answers! WHICH student knows the most? EVERY CLASS can play because the Teacher chooses the LEVEL of the QUESTIONS. Speaking, Listening, Reading & Writing. Makes LEARNING FUN! Laminate for Longer Life! A clear, concise collection of practical examples, showing time-lines; tenses; dialogue with key; and exercises with answers. The 5-page worksheet encourages free-expression written-work. Students LOVE this layout. A COMPREHENSIVE, COMPREHENDIBLE COMPENDIUM. 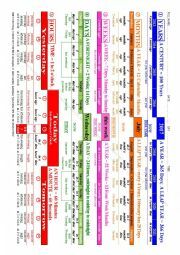 A chart of 5 time-lines, with numerous essential �TIME WORDS�: YEARS, MONTH, WEEKS, DAYS, and HOURS. �1 year ago/this year/in 1 year�s time�. �May/June/July�. �Last week/this week/next week�. �Yesterday/today/tomorrow�. 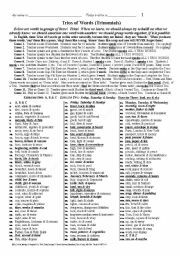 �Last night/this afternoon/tomorrow evening at 5 o�clock�. COMPLETELY FULL of useful learner material! 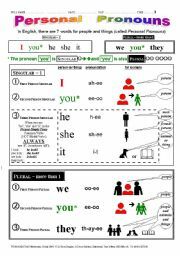 GRAMMAR 001 Personal Pronouns: �I�, �you�, �he�, �she�, �it�, �we�, �they�. Knowing how to use Personal Pronouns is ESSENTIAL when we are learning another language. 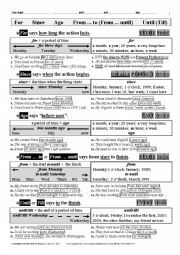 This 3-page Worksheet CLEARLY DEMONSTRATES, in simple diagrams and words, how the seven Personal Pronouns apply to people, animals, and things. The Writing Exercise is complete with Answers. A FOUNDATION-STONE of learning English for students of ALL ages. These TRIOS always go together - �knife, fork & spoon�, �first, second & third�, etc. If you learn ONE WORD, you learn THREE WORDS. Instructions for an EXCELLENT way to learn Vocabulary. 4 pages; 12 Games; 3 Writing Exercises; 3 Scores. Black & White, Answers in WHITE, (Simple advice alters Answers to BLACK). Fully editable. British & US. Do we say: "DO a cup of tea"? Or, "MAKE a cup of tea"? Do we say: "He HAS a headache"? Or, "He TAKES a headache"? Do we say: "She GIVES birth to a baby"? Or, "She GETS birth to a baby"? 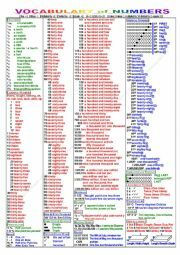 The answers are HERE ... more than 400 examples. 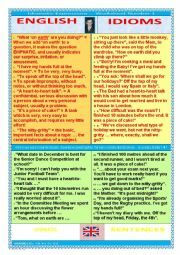 An attractive Worksheet, with answers, in a Series of Worksheets, using popular English IDIOMS. You can use it as a Colourful Poster, or print it in Black & White. Speak and write �REAL ENGLISH� conversations. A FUN ACTIVITY. Easy, but ESSENTIAL! Attractive Presentation in a Series of Everyday Idioms, for Speaking, Listening, Reading and Writing. Completely Automatic, so Teacher can relax for 10 minutes. Learn �real English�. Have fun!